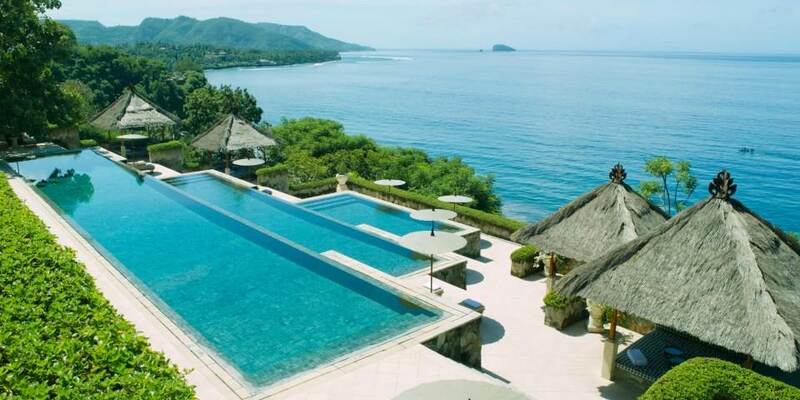 Overlooking the Lombok Strait the secluded oasis of calm which is Amankila has the majestic Mount Agung as its backdrop. 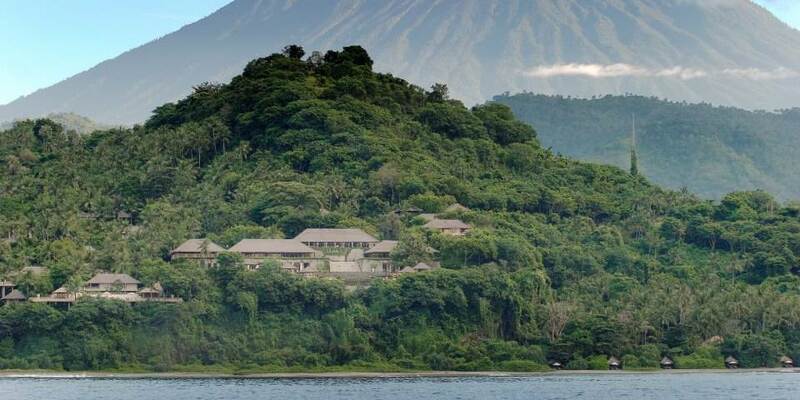 Meaning “peaceful hill”; Amankila in the regency of Karangasem on Bali’s east coast, is remote yet accessible, being only a one hour drive from Denpasar international airport. A long winding drive leads to the fragrant frangipani trees surrounding the lobby which affords spectacular views of the ocean and the signature three tiered pool. 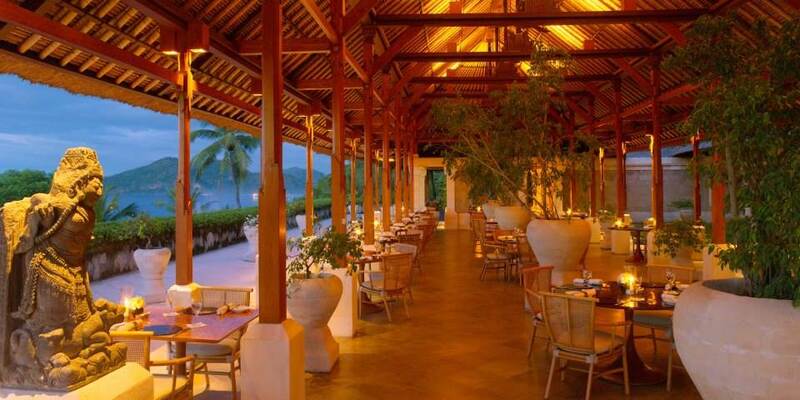 Open for dinner and situated above the main pool with views over the ocean, The Restaurant serves an eclectic mix of Indonesian and Western cuisine. 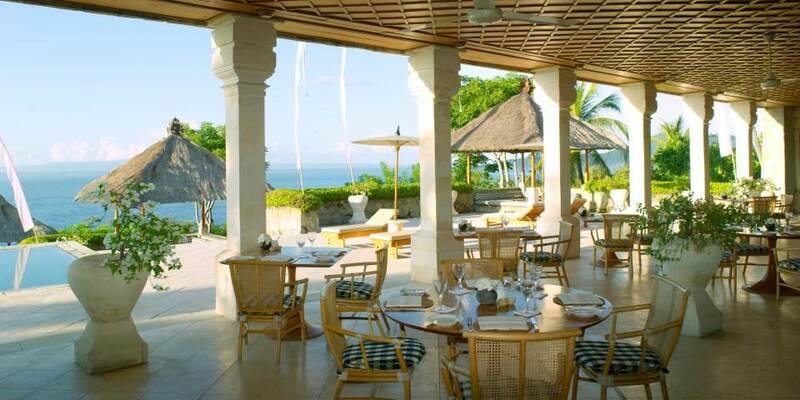 Again with a mix of Asian and Western dishes on the menu, The Terrace is set back from the three tiered pool and is open for breakfast and lunch. During the day lighter dishes, salads and pizzas are on offer at the Beach Club. The library is the venue for an indulgent afternoon tea, where local women dressed in traditional sarongs and kebayas serve complimentary ginger tea, Bali coffee and local cakes. Some guests will never wish to leave the beauty of the three tie signature pool, but there is a range of activities to experience both close by and at Amankila. Staff will be delighted to arrange excursions to villages famed for local arts and crafts. Expert guides will lead treks and walks through rural villages, rice fields and tropical forest. Mountain bikes are available for use, but for the brave at heart an exciting white water rafting excursion on the Telaga Waja River should not be missed. About 40 minutes from the resort the Sabay Bay stables offer riders of all levels the chance to see the local area on horseback. Cooking classes see guests make an early morning visit to a local market where they choose ingredients for a delicious Indonesian feast .The Beach club at Amankila offers kayaks, windsurfing and more, while a cruise on the outrigger Aman XII is perfect for snorkelling or just relaxation. Scuba divers will also delight in the clear waters and coral which teem with a wonderful variety of marine life. After an exciting day, The Library is a cool refuge where guests can relax on daybeds with books, magazines, newspapers and a laptop. Guests may enjoy traditional Balinese massages and treatments outdoors at Coconut Grove, hidden away among the palms and flowers, in the Massage Pavilion or in the privacy of their own suite. Natural Ingredients which used in the scrubs, baths and wraps have a healing power which help to stimulate and revive, leading to total relaxation. 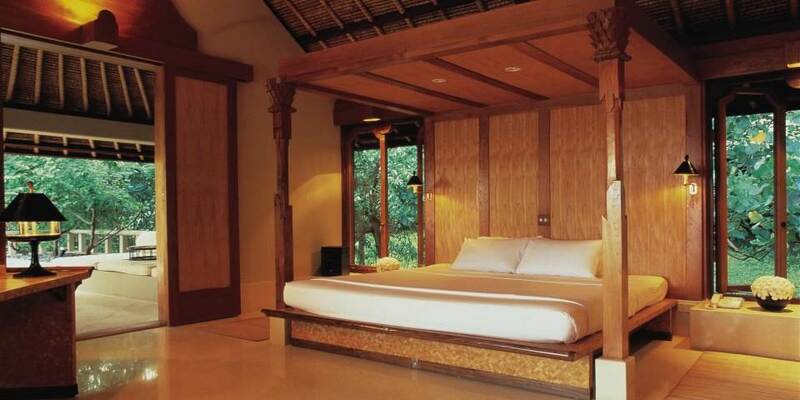 Each of the 34 free standing suites is fashioned in the style of a beach house, but ones which reflect their East Bali surroundings, with alang alang roof thatching. Elevated to take advantage of the spectacular views the Garden Suites each have a canopied king size bed in a large bedroom with wide windows which take advantage of the views, bathrooms have soaking tubs, separate showers and lead to a coconut shell dressing area. 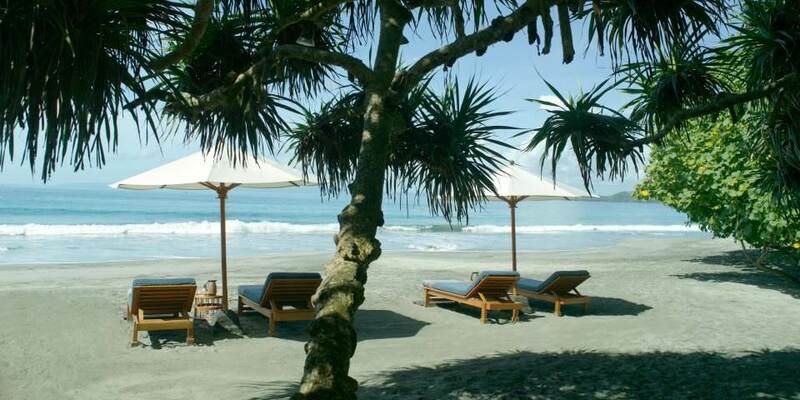 Outside the secluded terrace is perfect for relaxation, furnished as it is with rattan chairs, table and daybed. The Ocean Suites are identical in style but have views of the ocean. Six Pool Suites have the added luxury of a private swimming pool enclosed within a walled courtyard. Four of these connect to an adjacent Ocean or Garden suite making them ideal for a family or friends travelling together. In addition there are three special suites; The Kilsari Suite sits high on the hill with beautiful sea views, named after the main temple it also has its own 12 metre infinity pool. 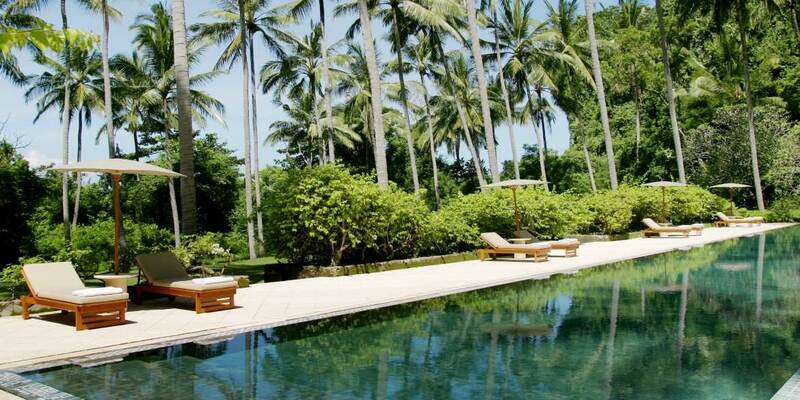 Indraka has a private pool, lounging bale in which to relax and has views past the temple to the sea and far up the coast. Its name is derived from the hill on which Amankila sits. The ultimate is the Amankila Suite; stunning views, a large terrace, two lounging bales, sunbeds, lily ponds and a beautiful pool, together with private butler service and two separate bedrooms make it the perfect hideaway for anyone seeking privacy or for two couples who wish to stay together.